Champagne has always been associated with wedding receptions and New Years. 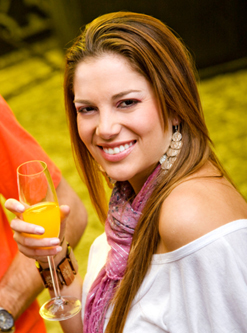 Many people also enjoy it in mixed drinks such as mimosas. Some people like to make gourment condiments such as champagne mustard, too. A bottle of champagne is the perfect gift for a business client, newlyweds, and someone who has won an award. An asti can be paired with a box of quality chocolates. A pint of strawberries goes well with pink champagne. Whatever the reason for your next bottle of champagne, we can suggest the right brand to fit your taste and budget. 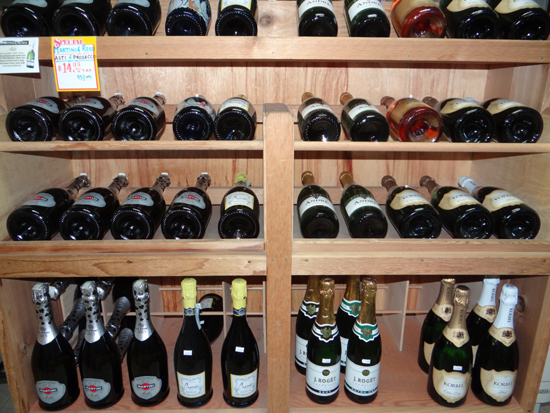 We carry many brands of domestic and imported champagne. We keep many bottles cold just in case you need to pop the cork right away. You'll be pleased with our selection no matter what your budget permits. Online recipes for a traditional mimosa suggest equal parts of champagne and orange juice over ice. There are some variations, including substituting orange juice with watermelon slush or using two parts champagne, one part orange juice, and one part mango juice.